Four members of the notorious LulzSec hacker group have been sentenced in London today following a number of high-profile hacks and DDoS attacks affecting companies such as Sony Pictures, PBS and Fox.com in 2011. The BBC reports that Ryan Ackroyd, a former British soldier and member of LulzSec who went under the handle ‘Kayla’, was jailed for 30 months. 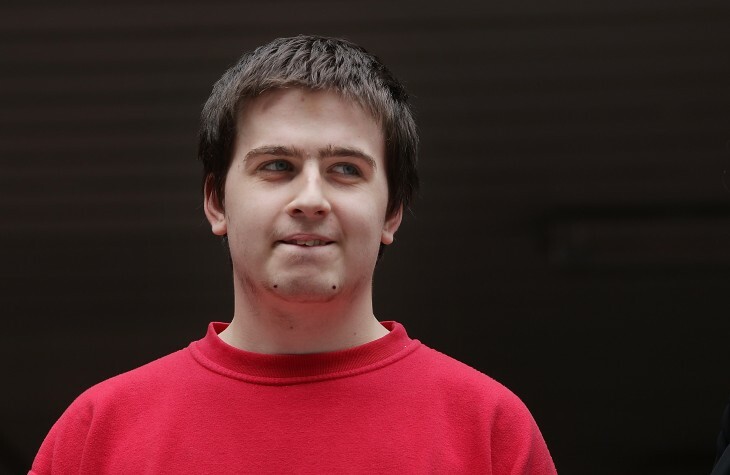 Ryan Cleary (pictured) or ‘Viral’, was jailed for 32 months while Jake Davis, a 20-year-old known as ‘Topiary’, was given a two-year sentence; he will, however, only have to serve half of this time. Mustafa al-Bassam, who operated under the pseudonym ’T-Flow’, was given a 20-month sentence – suspended for two years – as well as 300 hours of community service. LulzSec, a name derived from the terms ‘lol’ and security, is understood to have been a splinter-group that emerged from the much wider hacker movement known as Anonymous in May 2011. Later that month the group, which had six members in total, hacked into the database for the X-Factor television show in the United States and released personal information for over 250,000 potential contestants. It later published the names and email passwords for hundreds of Fox employees. LulzSec then leaked a text file through its Twitter account and pastebin detailing the database structure of Sony’s Japanese website. At the end of May the group also gained access to PBS’ servers, posted thousands of stolen passwords online and published a fake news story in protest against an hour-long documentary examining WikiLeaks. The group then hacked servers at Sony Pictures and Sony BMG and took account information for over 1 million users, a sample of which was later released in a torrent file. LulzSec later infiltrated the servers of the National Health Service (NHS) in the UK, as well as video game developer Bethesda, a portion of the Senate website and CIA.gov, the official site of the Central Intelligence Agency. Lulzsec was later known for applying a redirect on the Sun’s website, which presented users with a fake story about Rupert Murdoch committing suicide. The hacker group has also been linked to numerous DDoS attacks, whereby LulzSec members would overwhelm websites with an unusually high amount of traffic in order to bring them down, against 20th Century Fox and Nintendo, among others. Cleary was arrested on June 21, 2011, followed by Al-Bassam was arrested on 19 July and Davis on 27 July. Three additional LulzSec members were then arrested in the early part of 2012 after it was revealed that the group’s former leader – Hector Xavier Monsergur, or ‘Sabu’ – had been arrested previously by the FBI and was now working as an undercover witness.